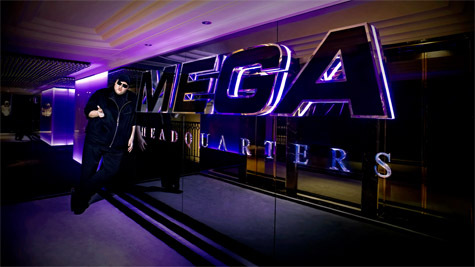 “Hong Kong, what an awesome place to do business and to host my new phantom persona,” Megaupload founder Kim Dotcom wrote here on TorrentFreak last December. “I should write a book about doing business in Hong Kong, that’s how good it is. People there leave you alone and they are happy for your success,” he added. But leaving him alone wasn’t on the agenda of the Hong Kong authorities. In a triumphant January statement they revealed how they had worked with the U.S. Department of Justice and the FBI to “smash a transnational cyberlocker syndicate” – aka Megaupload. The commitment from Hong Kong Customs was significant. Not only did they invest a year’s worth of investigative manpower, but also supplied 100 officers from their various copyright enforcement divisions to carry out raids on the company. According to an FT report, authorities there are set to go even further. Later this year, Hong Kong Customs will set up an “electronic crime investigation” center after being called on by media companies to pay closer attention to other cyberlocker-type services operating locally. The announcement is likely to further unsettle several other file-hosting services that have a presence in the territory such as Filesonic.com, Uploading.com, Uploaded.to, zshare.net, Filepost.com and Hulkshare.com. Just a couple of days after the Megaupload raids, Filesonic – one of the top 10 file-sharing sites on the Internet – reacted by disabling all 3rd party sharing. Like Megaupload before it, Filesonic blocks all local IP addresses, presumably in an attempt to avoid local difficulties. But although there is no suggestion that Filesonic has done anything wrong, this type of blockade alone will not ensure it has a quiet life. Hong Kong authorities described the motivation behind Megaupload’s IP block as “a bid to hinder investigation by law enforcement agencies.” Filesonic told FT that they have “a zero tolerance” approach to piracy. Uploaded.to, another site with Hong Kong links, reacted to the Megaupload raids by blocking all visitors from the United States. Others have disabled their affiliate programs or taken other measures. “Targeting the organized and transnational nature of IP infringing activities in the wake of technology development, the Hong Kong Customs will continue to monitor the situation and co-operate with the IPR industry and overseas law enforcement agencies so as to suppress infringing activities effectively,” HK Customs said in a statement. Whether Customs will follow-up with further action remains to be seen, but in the meantime an Eastern chill is certainly blowing through cyberlocker land.